WARWICK Police Station will be demolished as part of ambitious plans for a “state-of-the-art” medical centre. The move could see services at the nearby Cape Road clinic move there. It could also see GP practices in the town centre operate from the centre. The site has been bought by Dudley Taylor Pharmacies Ltd, which has its national headquarters on the Wedgenock Industrial Estate in Warwick. The firm already owns two medical centres in Northamptonshire, as well as 56 pharmacies in the Midlands, Wales, Yorkshire, the south west and the London area. Warwick Safer Neighbourhood team is expected to stay at the police station for up to nine months while suitable premises are found. Chris Taylor, a company director at the pharmacy firm, said the medical centre could be open 12 months after the police move out. He said: “The old police station will be demolished and a state-of-the-art medical centre is planned for the site. “We are hoping to attract the central medical practices in Warwick to the site. The company will own the site as part of its expanding property holdings. The company has been in extensive talks about the plan with Warwick District Council. Mr Taylor said: “We’ve had positive talks with the planners about the proposals. “This will all go through the planning stages and we are confident we can provide adequate car parking. The company was founded in Kenilworth in 1947 by Dudley Taylor and is now run by his sons Michael, Christopher and Philip. 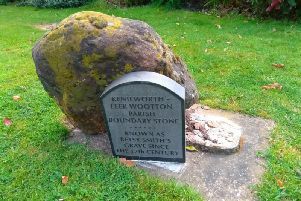 The loss of the police station is part of a radical shake-up of policing in Warwickshire, which has also seen the closure of Kenilworth Police Station, the sale of the Leek Wootton headquarters, and the sharing of resources with the West Mercia force, all driven by the need to slash costs to meet reduced government funding. Jim Stobie, head of estates for Warwickshire and West Mercia Police, said: “The Safer Neighbourhood Team will remain in the building until they can move into a new deployment base, but members of the public can be reassured that policing will not be adversely affected by the move.